What Is a Solar Power lease? How do Home Solar Leases Work? A Home Solar Lease is a financial arrangement that can greatly reduce or completely eliminate the upfront costs of installing a home solar power system on your home. It is a financial arrangement where a solar development company places photovoltaic solar panels on the roof of an energy consumer’s home usually at no cost to the homeowner. The Homeowner in turn agrees to pay the solar power company for the use of the solar power equipment for a specified period of time. The Length of a home solar lease can vary but typically you can plan on 20 to 25 years. At the end of the lease agreement a homeowner would usually have the option to buy the equipment. Basically the consumer pays a monthly bill that combination of energy costs as well as hardware lease payment. This monthly fee can be as much as 30% or more less than current energy costs depending on the area. Home Solar Leases help the homeowner overcome some of the obstacles faced when installing a Home solar energy system. There are no upfront costs, system maintenance worries, and design, permitting or installation concerns. With a solar power lease a homeowner can see their energy savings from the very first day the home solar power system is turned on. 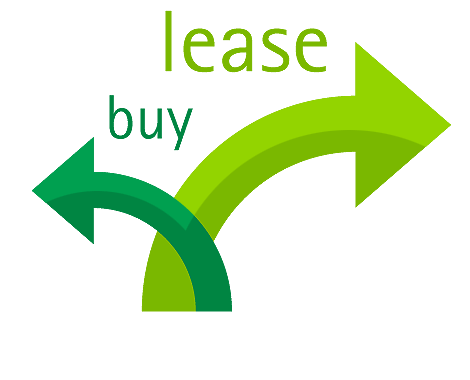 A solar lease works just like a car lease or any other type of equipment lease. A home owner makes the decision to switch to solar power and contacts a solar service provider. The solar service provider inspects the home and calculates the size placement and expected efficiency of the system to be installed. The lease price the homeowner pays is determined by the combined overall cost of the equipment and the amount of power that will be produced. The lease is usually a fixed rate but may also include an escalator over the life of the contract to allow for a performance reduction as the solar system ages as well as inflation related costs of maintenance and system monitoring. The solar service provider takes care of the entire home solar power system for the life of the lease at no additional cost. Solar service providers may work with their own “in-house” teams for installation, service, maintenance and monitoring but may also contract some of these services out. Your local utility company allows for a connection from the home owners photovoltaic system to the grid. Grid connection is necessary to both provide electrical service when the home solar system cannot meet demand (like at night) and to also allow excess electricity to be sold back to the utility (that’s one of the ways the solar service provider makes their money). Home Solar Leases are not available in all areas and this is very basic description of solar leasing. For more detailed information and to see if your home qualifies for a Home Solar Lease please contact our solar advisors. Our experts are prepared to match you to the right program and provider in your area.